Howard is a bundle of energy always ready to talk story about real estate, technology and health. His philosophy is to “tell it ‘how it is’ without any sugar-coating”, so here it is! 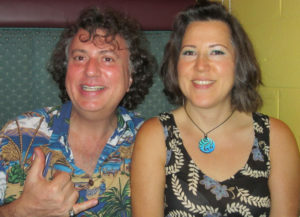 Howard and his Assistant, who is also his wife, live on Maui. 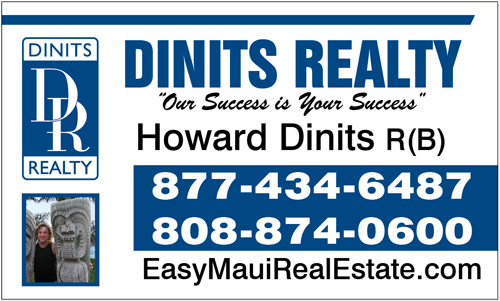 With homes on two Islands, Howard is able to help people with Real Estate throughout Hawaii. He draws on skills from previous experience as a mortgage broker, web designer/marketer, and a real estate investor to make him a top realtor in Hawaii. As a result of the 9-11 attacks, his trip to Boston was cancelled when planes were grounded. He traded his much needed “east coast vacation tickets” in for tickets to Hawaii and decided to make the Big Island his home. Upon arrival to Big Island, Howard went to a Kona Realtor asking to see only properties he could easily afford at $85,000 or under. The Realtor laughed; so, he drove to the east side and found a great neighborhood in Puna with high speed internet, paved roads, mail delivery and water. Yes, within his price range. He also found a great lifestyle, loving people, and mostly, all the amenities of the mainland, yet with warm weather! Howard’s focus is having fun and living a healthy lifestyle. Howard recently discovered he had hereditary gout. This problem had been plaguing him for years. After his diagnosis Howard decided to educate himself so that he could rid himself of daily pain the natural way, without drugs. “So many people are living with it and don’t realize what’s going on! I will be happy to share all I have learned with anyone interested, because just knowing and treating it has given me great relief. I thought I was just going to live in pain for the rest of my life and I would have to deal with it, but it turns out, there are very reliable methods to preventing gout pain.” Said Howard. With Howard’s comments in mind, what is his 2010 New Year’s resolution? He says it is the year to take “Mary & Howard” time; one hour bike cruises with no phone calls or business conversations, just pure relaxation. His wife, Mary is his best teammate because they have opposite skills and they complement each other. Mary is in charge of office affairs and all the details behind the scenes as Howard works in the field. He has to be present to show homes, stay abreast of his education, not only for professional licensing, but to be on top of cutting edge technology. He has built premiere websites over the years, which connects both buyers and sellers with information and the ability to work directly with Howard Dinits. He says most websites are about the Real Estate agent’s ego instead of providing quality photos and listings. Consumers want an honest and comprehensive response quickly and with the help of the Internet and email Howard makes it all possible. Real estate websites today need to incorporate web 2.0 skills. On Howard’s sites you’ll see virtual tours, streaming Video, daily news, things to do, neighborhood and relocation information. High quality photos are crucial, Howard uses a wide angle lenses, proper lighting and staging to show the property in it’s best light. A detailed description including driving directions is vital as many consumers find it easier to drive by a home first before deciding to ask for a showing. Listing the home at the right price gets showings, calls and action on the property – many times it can even get multiple offers! Speaking of listing price, Howard’s other philosophy is to attract attention to the property and he requires sellers to come up with a figure which does not end in zeros to make their property stand out. In our closing, Howard wanted to stress his formula for selecting the best price and the importance of not showing a property unless it is at its best. “Market Data or a Broker’s Price Opinion is the best way of selecting a price. A full time real estate agent will have a better pulse on the market than an appraiser would, because appraisers are using data that is four month’s old. They don’t know what is in escrow and won’t know for a couple months. If you want to sell in today’s market, the list price needs to be at or below market value. The code of ethics state I cannot mislead a consumer on the value of a property, so I can not take over priced listings, and it is my fiduciary duty to explain what market value is to all potential buyers and sellers. Howard has incorporated all of these talents and skills to propel himself to the top of his profession. He was the top selling RE/MAX agent on the Big Island and Maui for sales volume 2005-2013 until he left RE/MAX in September and opened his own office Dinits Realty. With his over 300+ happy clients talking story about him and his honesty, integrity and hard work, Howard’s business continues to grow on both Maui and the Big Island. Via word of mouth he expects continued success in 2018 and beyond especially in the Kihei, Kahului, Wailuku, and Wailea areas. Howard owes all of his accomplishments, to his wife Mary for all of her help and understanding of the amount of time and energy that is required to be the Best of the Best.